Home » Akiba's Beat » PS4 » ps4reviews » Akiba's Beat Review - Dream or Nightmare? 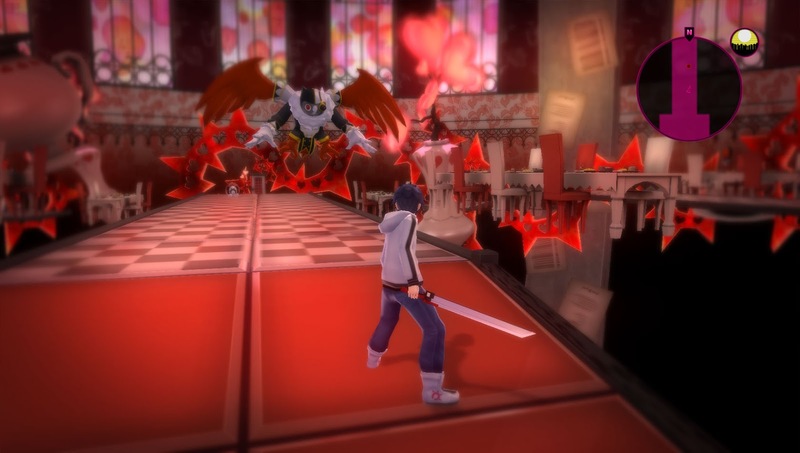 Akiba's Beat Review - Dream or Nightmare? Set in Japan's Akihabara District of Tokyo, Akiba's Beat is an Action RPG that touches on many aspects of modern day Japanese culture and while that may be appealing at first glance, is it a worthy investment of your time? Enter Asahi Tachibana - A NEET and the main protagonist of Akiba's Beat. As the game begins, you're thrown into his shoes and after little to no time at all, you discover something isn't quite right about your local hang out when a door suddenly springs into existence, seemingly invisible to the public eye, surrounded by unique features. The first of which has a set of giant speakers surrounding it, though over the course of the game, more and more of these will pop up, each with their own unique designs. Upon interacting with the door, you find yourself entering the Dreamscape - A pocket dimension outside of our own, filled with strange creatures and bizarrely trippy visuals. These are essentially dungeons to fight through and conquer, with each boss waiting for you at the very end/centre of the realm. 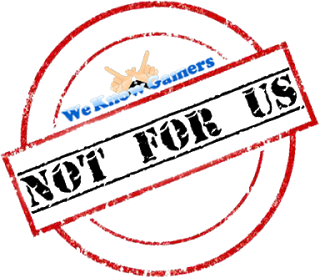 It's not until around halfway through the game that you'll really start to feel the difficulty begin to ramp up, but if you have any experience with Action RPG's, you'll do just fine. It's a relatively easy game. Without spoiling too much, these Dreamscapes pose a problem to reality and if ignored, will likely make some pretty big changes to the surrounding area of Akiba. Naturally, it's up to you and your team to nullify these from existence and find out exactly what's going on, why they're popping up and who, if anyone, is behind it all. Oh and you're stuck on a loop, so prepare yourself to play through a whole lot of Sundays! As mentioned above, Asahi is the main protagonist of this adventure, but as you progress into the story, you'll pick up more and more characters to play with and battle alongside. These characters, though likeable in some areas, usually have some very annoying personality traits or gimmicks that'll make anyone above the age of 14 cringe. For example, there's a character who formed her own Delusion (and with it, creating her own Delusionscape) in which she's an Idol Princess. After dealing with this, she eventually becomes a permanent party member and although she's a charming little character, her idol name (Mippity Mop) really bothered me, as did another characters extremely objectionable personality, only the game forces you to help her out when there's really nothing to like about her at all. Another issue I found was I got the impression this title was aimed at a younger audience than I'm used to (early high school) and yet, the vocabulary occasionally used featured many words grown men and women would likely only have an understanding of. Ultimately, I feel Akiba's Beat doesn't entirely know which demographic it's targeting and fails to really appeal to any. Aside from this, I'm now going to talk about the gameplay mechanics. Unlike Final Fantasy and more akin to the Persona series, enemies are visible on the map and provided you manage to strike them first, you'll start with the upperhand in combat, having dealt the first blow, causing them to lose life before the fight has even begun. 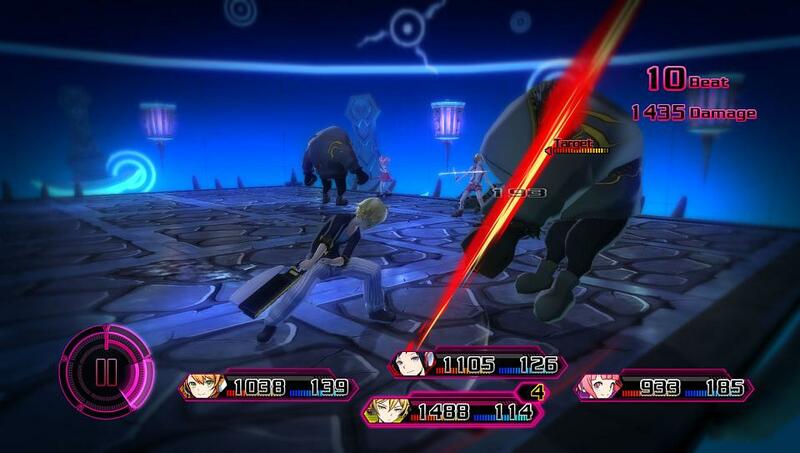 During combat, you'll have eight separate moves you can perform. These are all keyed to the left and right analogue sticks and though you just need to flick the right stick in the desired direction, as the left stick is also used for movement, you'll need to hold the direction and press x to active them (just press x for the top assigned move, which doesn't require a directional movement). Each character has their own unique set of moves, though several attacks are shared between characters. These vary from buffs and elemental spells to aerial, ground and horizontal attacks. You unlock more moves the higher your level and although these become less and less frequent the stronger you become, you do have the added option of jumping between party members mid-battle (if so desired). In addition to this, like any RPG, you can use items to heal yourself mid-battle and there is a very small degree of strategy needed for the fights, though this is more about being able to read your enemies moves and knowing when to dodge than being a full on tactician. The tactics involved here are basic at best. Upon meeting certain figures in and around Akiba, you're not just given new party members, but also more support characters. These support characters help by occasionally replenishing your HP and SP during each fight. This can be very helpful as you'll be burning through SP within each encounter, due to the fact your special attacks require SP to pull off. Sadly, the support characters can be more annoying than not. Pinkun (a small, Madoka Magica Kyubey-like mascot) will aid with your HP and Moé will aid with your SP, though Moé is without a doubt the most annoying (yet most useful support character) in combat. She's a maid and refers to every single enemy as "customers". There isn't a single fight where she won't say something cringe-worthy like "we have three customers to serve!" or "Wow, that's a lot of customers!". She also loves to tell you which doors you've already been through, even if you're purposely returning to previous areas to grind for more exp. If you haven't been through a door before, she'll also ask "There's a door! Should we go in?". It's all very tedious, yet every support character is Captain Obvious, so it's something you'll have to put up with, should you decide to pick this title up. Next up we have combat. This consists of your basic square combo, plus any special moves you wish to use. The battle system is a little strange to say the least and I haven't seen it in any other RPG before, though I can see why as it's a little pointless. Each battle locks you in a 3D environment where you're only able to fight to the left and right. You can dodge to jump away from or around your opponents but this costs you AP and AP governs when you can fight and how many attacks you can pull off. You can also hold R1 to freely run around, making you practically untouchable, though you won't be able to fight when doing so. Changing target is simple enough with L1 and the directional stick, but if you run out of AP, you're left standing there and taking hits until your AP recharges again, which thankfully doesn't take more than five seconds. Upping your combat abilities is a little strange also, as instead of just allowing you access to more powerful weapons or other character abilities, if you're wanting to upgrade your AP or power up your weapons, you'll need computer parts attached to each character. These are known as PP. Your Motherboard dictates what you can have attached to it, your CPU pretty much dictates how much AP you have to play with in any given fight and other components like RAM, Graphics Chips and other such items will extend or power up other aspects of your character, such as the length of time you can use Imagine Mode, which I talk about in more detail below. Changing clothing items and accessories will increase your standard Defense and Magic Defense, while collectable cards (attached to your party members) will power them up even more, though expect to dump a fortune into this, as it can take a while to get anything decent and though there are several powerful lesser cards to be obtained, it's the Ultra Rares you'll really want to find. As mentioned a little way above, Imagine Mode is an ability activated when you've dealt a certain amount of damage during any given fight. To trigger it, you'll need to use some of your precious SP to pull off one of your special moves, at which point upon holding square you'll burst into a super powerful version of yourself, fighting to the music (you can select any unlocked song as your Imagine Theme) as you attack with empowered weapon strikes in front of a colourful, musically inspired background. Though somewhat fun to watch, the intended purpose is to turn the tide of battle, but more often than not you'll just be using it to end fights quicker. They're a bit of a slog. As for the story, you'll bump into a fair amount of characters over the course of the game, but I didn't really find any to be all that interesting. With very few full on Animé styled animated cutscenes, the majority of the game will force you to watch overly lengthy voiced dialogue screens that feel lifeless as the characters gently bob up and down the screen. The voice acting is okay, but there's nothing that particularly stands out about it. It lacks atmosphere and that's a big issue for me. Keeping in line with modern trends, your number one informant is a cross-gendered woman named Akemi - A man, now trying very hard to be a woman. You're also given a mission to find an old friend of hers (it's implied this is a past lover) and while you assume it to be a woman, it's actually a woman now walking around as a man - The opposite of Akemi. Though I have no problem with this, it isn't relatable to me in any way and as such, really didn't interest me. Still, those of you who can relate to this may find it to be nice or even reassuring in some way. With so much dialogue to get through (most of which fails to add to the story in any real way), Akiba's Beat felt more like a chore than anything else. Sure, the game has a small amount of charm and with such light-hearted characters, if you're feeling down in real life, it can be a little uplifting to play, but with no sign of an immersive or engaging experience, Akiba's Beat fails to measure up to most other RPG's out there and often felt like a watered down version of Persona 5. 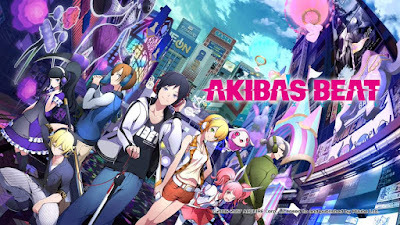 Overall, there's some enjoyment to be had here and the Dreamscapes truly do have some interesting designs, but any fun you might have is minimal and that's a real shame, because as an Animé fan myself, I was hoping Akiba's Beat would be something great. Sadly, it's more a representation of your common Weeaboo's desires than that of actual Japanese culture and is likely only worth picking up if you enjoyed the original (Akiba's Trip) or are around 14 years of age. That said, I haven't played the original, but it genuinely looks like a better game. Shame.